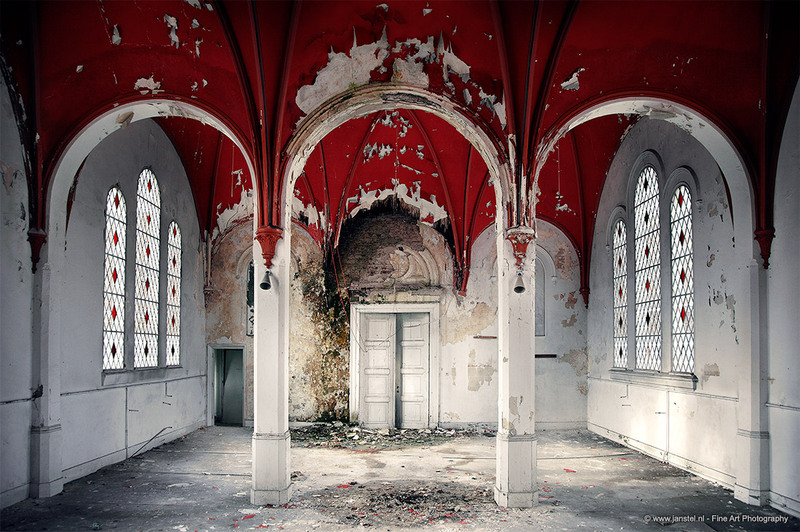 JAN STEL, abandoned psychiatric hospital "Het oude gesticht". 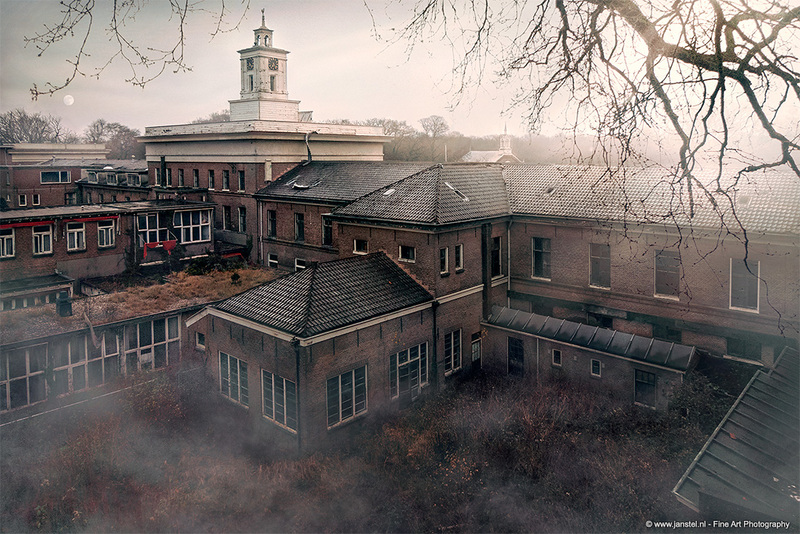 Located close to the sea and just outside the dunes, there is an abandoned psychiatric hospital known as Meer en Berg. Up until the 19th century there was hardly any treatment available for the mentally ill. They were cared for and sheltered, but didn't receive the necessary treatment. Outsiders had no idea what was going on in these asylums. Rumors got around that extreme and experimental treatments were used. Patients had to endure shock therapy, isolation cells and contrast-bath therapy while tied down. These circumstances were depressing as were their cramped, locked living quarters. Beginning in 1849 the hospital, which was also called a madhouse, was continuously enlarged. 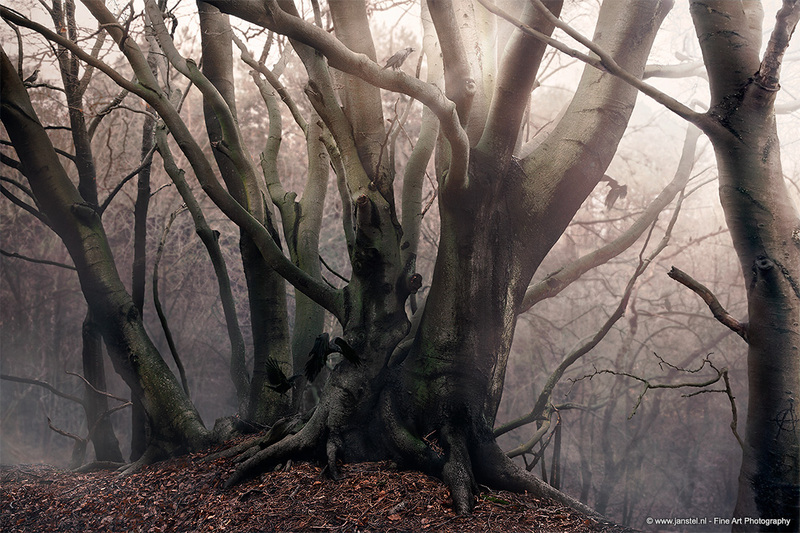 Until the 1930s it housed around 1,500 patients. The building was divided into different wards based on patient gender, social position, class and diagnosis. 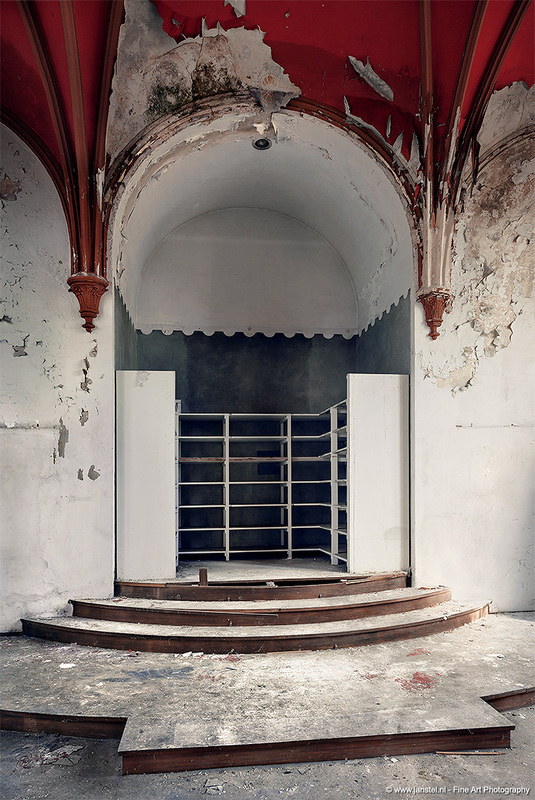 The last patients left the hospital in 2002 and from then on it was abandoned.